We work together with the City of Pasadena to plant trees in vacant parkway sites, upgrade the size of planted trees, respond to resident requests for a few trees or coordinate major projects for hundreds of trees. The outstanding results of our efforts in landscape plantings at public buildings, parks and library in Pasadena. 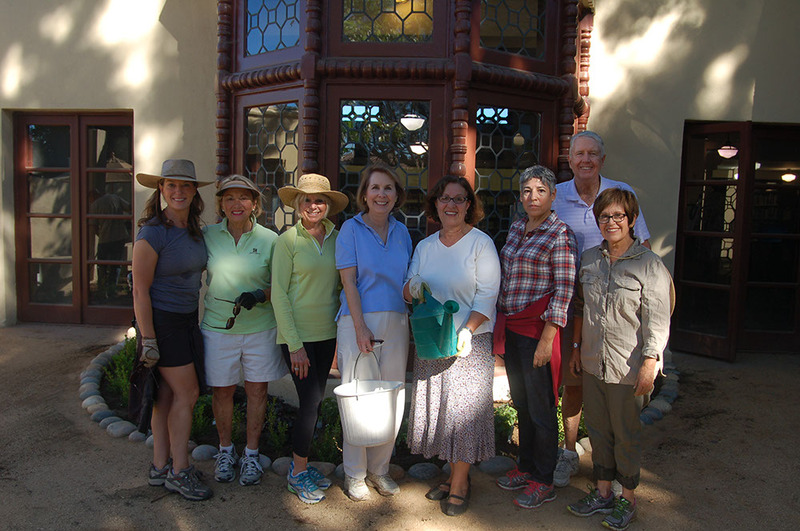 Many residents of Pasadena take great pride in the beauty that their gardens and homes make in their neighborhood. We encourage recognition for the extra effort these residents make to single family homes by awarding numerous Golden Arrow Awards every year. Annually we honor commercial, institutional and multi-family projects for exceptional beautification in their structures or landscape. Every Wednesday we work to help make Pasadena Beautiful. Pasadena’s parks, urban forests and public spaces. From the Library: I’m pleased to let you know that the patio garden is very popular at Hill Ave Branch Library. We are pleased to be able to offer this space for people who want to read outside, eat lunch or play after crafts and programs, including story time. We have had one large program outside – an animal show, and we plan to have more programs soon. That space accommodates many more people than we can fit into any space inside. So, I want to thank you once again for helping to make this happen. Please pass my thanks along to all Pasadena Beautiful participants. We are a volunteer organization both in our leadership and our services. Everyone who is interested in making the City of Pasadena a better place to live and work through enhancement of the urban forest and streetscapes is welcome to join.